Here are a few examples from around the country that highlight just how widespread problems with MethAffected properties are. If more investment property was MethManaged, there would be fewer of these sorts of examples. However, as you will see, assumptions that it is just investment properties can be dead wrong! Few owner occupied, commercial properties and motels are likely to be MethManaged. So, if you want to avoid these sorts of problems get a Baseline test done as part of your pre-purchase due diligence! Professionally managed property with suspicions of a tenant involved with meth related activity. Regular inspections and extra diligence on the part of the property manager failed to identify the problem. With no policies in place, the property was rented out to a new tenant who complained of feeling unwell. Baseline test was completed and confirmed presence of meth residues at levels consistent with manufacture. A prospective purchaser gets a meth test done on an ex-rental with an apparently rushed paint job. As a first home buyer, they made the connection between this history and possible meth risk that the licensee selling the property did not. Meth present at 2.1µg. Our records suggest that + 90% of the time a property with this level of meth in a composite will exceed currently acceptable Guideline levels. The property had been tested by MethSolutions 3 months prior to the latest test. The vendor appears not to have disclosed this to the agent. At this time, the meth levels recorded were 12.9µg. Property sold following an infield meth test. A Landlord had concerns about a property despite long term tenants. A test was done prior to renovation to rule out possible meth risk and subsequent complications with a meth affected property. Results showed meth present at 22µg. Prompt action by the Landlord means the costs of remediation will be kept down. The absence of a previously established Baseline, means that the owner could not prove the tenant was responsible! Tenanted property identified with meth levels that peaked at 10µg. Insurers confirmed cover and took over handling of the claim. Detailed testing and clean up were completed and an estimate of cost to reinstate on a like for like basis obtained. The absence of a previously established Baseline, means that the owner could not prove the tenant was responsible! A small flat was tested as part of pre-purchase due diligence. Meth found present at 4.9µg. The property is one of 3 on a title. It is the second we have tested and the second that came with a free meth problem that was only avoided by getting a meth test done. A commercial clean and follow up In Field testing still identified problems. People were advised to give it a clean themselves and paint over the problem. Emotional desire to have a home results in poor decision making! State house being sold was tested as part of a pre-purchase due diligence process. Property had been repainted and carpeted. Positive for meth at levels suggesting high use. Presence of fresh paint possibly masked a more significant underlying issue. Property was withdrawn from sale and prospective purchaser dodged a bullet. Property up for sale by mortgagee. History of drug related activity at the property. Baseline meth test identified presence of meth at levels which indicate manufacture had taken place. Mortgagor bank is able to market the property with full disclosure and avoid the risk of information becoming available during the course of the sale which embarrasses and damages the brand. Baseline meth test conducted following concerns regarding the behaviour of a family member. Results indicated the presence of meth at levels indicative of manufacture. Owner of a privately managed property is advised of suspicious drug related activity at their property. Confronts the tenant who insists they have done nothing. Meth is found to be present at levels which indicate high risk of manufacture. The absence of a previously established Baseline, means that the owner could not prove the tenant was responsible! Older couple buy their dream retirement home from the same real estate company that had previously managed the property. Neighbours advise new owners of meth history shortly after moving in. Massive community effort comes to the aide of the couple and they get their home back without feeling the full effects of the financial loss. Young couple with children buy a property from a real estate company that had managed the rental. On moving in a meth pipe is discovered in the recycling bin. +$2,000 of meth testing reveals high levels of residues throughout the property. New owner relocates while +$12,000 of remediation work is undertaken. • New owners paid market rate for a meth contaminated property. • Real estate agent and property manager, were able to get a claim admitted under the previous owner’s policy of insurance. Meth test undertaken as part of due diligence. Meth test result indicated meth present at levels consistent with use. Prospective purchaser undertook a Baseline test and identified low levels of meth consistent with use. Vendor acknowledged that a family member with a history of drug use had lived at the property. Met related activity had been denied and no disclosure was made. Purchaser was still interested in the property as long as low levels of meth were confirmed. Insights test commissioned by the vendor confirmed this was the case and property sale followed. Pregnant lady with partner and young child were moved into a professionally managed property. Father of the lady spoke to neighbours to get a feel for the area his daughter was moving into. Meth related history was reported to the new tenants. They contacted property manager and eventually, after becoming frustrated by the lack of response, commissioned their own meth test. Property tested positive for meth at levels which indicated significant levels of meth related behaviour. Repainting between tenancies increased the cost of remediation. The tenancy fell over due to unacceptably high levels of meth in the property. Managers of a property previously tenanted by what turned out to be high profile meth criminals, had property Baseline tested on a precautionary basis. Tenants had lived in at least four other properties prior to this one. Property for sale by overseas landlord was tested for meth by a prospective purchaser. Property tested positive for meth at levels which indicated significant levels of meth related behaviour. The absence of a previously established Baseline, means that the owner could not prove the tenant was responsible! Owner undertook a commercial clean and had the property retested by a company using infield test kits. Property tested negative for meth. Not because there was no meth present, but because the amount that was present was insufficient to trigger the test kit used. Local rubbish collection company reported finding drug related paraphernalia in the rubbish of a professionally managed property. Property Manager initiated swift action to test the property between tenancies. Property tested positive for meth at levels which indicated meth use related behaviour. The absence of a previously established Baseline, means that the owner could not prove the tenant was responsible! New owner noticed a change in paint colour on final inspection prior to going unconditional. Property tested positive for meth at levels which indicated significant levels of manufacture related behaviour. The absence of a previously established Baseline, means that the owner could not prove the tenant was responsible! Privately managed property finally had an inspection done. Inspection highlighted risk of contamination and a Baseline test occurred. Property tested positive for meth at levels which indicated significant levels of use related behaviour. The absence of a previously established Baseline, means that the owner could not prove the tenant was responsible! The lack of inspection meant the owner’s insurance policy failed to respond. A vendor purchased a house 12 months ago from the owner occupiers, without getting a meth test. A year later, having lived in the house with their family, a meth test was done as part of a pre-purchase process. This identified meth present in the kitchen 28 times over currently acceptable Guideline levels. In the hall next to the kitchen, it showed no meth present. 1. The importance of a meth test as part of due diligence – $200 a year ago and none of this would be happening. 2. That painting a property masks meth residues. 3. That painting a property significantly increases the cost of clean-up. A long term owner occupied property has a short term tenant who was related to the owner during the period of sale. Purchaser initiated meth test reveals meth at 39µg. Significant meth contamination does not take long to occur. And, where meth is concerned, normal rules do not apply. People involved with methamphetamine lie, steal, thieve, cheat and deceive in order to get what they want. It is how decent people get taken advantage of. Meth residues in the garage area are 360 times greater than Guideline levels. The property was owner occupied and no disclosure was made. Family home lived in by a brother and sister being sold to fund health care. A pre- purchase meth test identified the presence of meth and a Baseline meth test confirmed high levels indicative of possible manufacture. An inspection immediately after a party identified some unusual activity which could not be accounted for by normal behaviour. A Baseline was established in the property, which was followed up with further testing. The property was not subject to testing prior to the tenant moving in. The difference in testing levels allowed the owner to seek prosecution of the tenant under the Residential Tenancy Act. Owner purchased a meth free property at his 4th attempt. The fact the property was going to be meth tested was communicated to the tenant. MethMinder was not installed. Tenant ran up rent arrears and demonstrated erratic behaviour. Owner conducted a follow up Baseline test. Property tested positive for meth at levels which indicated significant levels of use related behaviour. On advice from the Property Manager, owner made the decision to MethManage the property in a high risk area and communicate this through to prospective tenants AND charge a slightly higher rent for the ‘P’ free home. Property rented quickly to a great family and at the higher rates, covering cost of MethManagement (including MethMinder lease) with money left over! Long term family farm leased to a share milker who employs a manger. Manager is moved on for poor performance and a new person takes over. They do a great job and are set to move onto a different farm at start of the next season. The new manager knows the history of the first farm manager and gets the place Baseline tested as a precaution. Property tested positive for meth at levels which indicated significant levels of manufacturing related behaviour. The farm manager who had lived in the property for 9 months, now had an explanation as to why they had persistent bronchitis and their partner had dizzy spells! 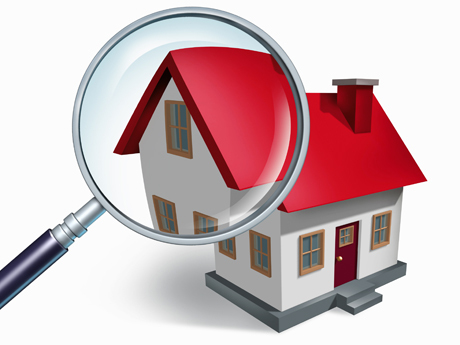 Property is Baseline tested as part of due diligence under a sale. Property tested positive for meth at levels which indicated significant levels of manufacturing related behaviour. Council are involved having been notified by the Police. Cottage is left on site as roof provides drinking water for stock. Property is leased to a farmer who installs farm workers into the onsite cottage. Rural life style block up for sale under goes pre-purchase inspection. Property tested positive for meth at levels which indicated significant levels of manufacturing related behaviour. Use of multiple kits isolated the residues to one particular part of the property, reducing the cost associated with further testing and clean up. Property rented for a week through an on line booking website. Suspicion of untoward behaviour during period of the rental. Owners had the property Baseline meth tested. Property tested positive for meth at levels which indicated manufacturing related behaviour. Property rented for two weeks through an on line booking website. Suspicion of untoward behaviour during period of the rental saw an impromptu inspection take place. Instead of a young couple with child, the owner’s representative came across a number of suspicious looking characters. The owner reported the matter to the Police. No action was taken during the following week due to a fear of finding no evidence and the owner’s property being damaged. Owners had the property Baseline meth tested. Property tested positive for meth at levels which indicated significant levels of manufacturing related behaviour. Owners undertook self-cleaning of the property with no records of follow up testing. Family owned property with suspicion of meth related activity by a family member. Testing revealed significant levels of meth related behaviour. Owners engaged professional decontamination specialists. Property rented through an on line booking website. Suspicions of meth related activity immediately after a let. Inability to address the possible costs saw the owners shut up the property for some years. Baseline meth test confirmed meth present in the property at significant levels. Owners engaged professional decontamination specialists. Property is Baseline tested as part of pre-purchase due diligence over concerns regarding a previous manager. Baseline testing identifies low levels of meth residues in all but one area of the property (Managers Office) with one area clearly exceeding Ministry of Health Guidelines. Low cost high quality Baseline test makes screen the property cost effective and prevents new owner from dealing with an expensive health and safety issue! Employee of the previous tenant visited the property when the new tenant (food processing facility) took occupation. Reported a history of meth use at the property. Baseline test identified low levels of meth present consistent with use, but not the manufacture they feared would tarnish their reputation and create an unsafe work place. The business owners were able to reassure staff that they were not at risk. Mixed use tilt slab construction commercial and residential property was tested as part of a pre-purchase due diligence. A private tenant was living upstairs and a beverage manufacturing company was downstairs. Property tested positive for meth at levels which indicated manufacturing related behaviour in the residential part of the property only. • Being a beverage manufacturing company, their business was a serious risk of being compromised by another tenant. This created potential liability issues for the building owner. Post going unconditional on a large commercial property, a new owner heard rumours of meth related behaviour in the previous company. Baseline testing that sectioned down the premises identified meth contamination hotspots, consistent with manufacture having taken place. New owner was able to renegotiate the deal and reduce the purchase price with the costs associated with ensuring they had a safe working place. A client requested a meth test on a Beach Haven property. The agents involved had previously had sales fall over with low levels of meth residues identified. Following discussion with the agent, the vendor elected to deny MethSolutions access to the property and commission their own test using infield/self-testing kits. Uncertainty around the result and the conscious decision of the agent to conceal outcomes. Tenant was made aware of a meth history by neighbours. Raised the issue with the property manager who took no action. Tenanted undertook Baseline testing and confirmed meth present at levels indicating low level manufacture of meth. Results were reported to the Property Manager and detailed testing was undertaken, with the tenant being absent from the property. Owner and property manager engaged various parties to provide second opinion. The building was relocated from the property onto another site, with meth issues apparently unresolved. Major real estate brand encourages staff away from lab based testing toward service provider utilising lesser quality in field testing kits! Post decontamination and redecoration, a property was Baseline tested at the time of installation of MethMinder (a globally unique air quality monitoring system used by landlords to monitor for manufacture). Meth readings were at unusually high levels despite sign off by forensic scientists on behalf of the insurer. Referral through to the parties responsible saw a defence of the work that was done. Subsequent individual tests revealed meth residues remaining in the property 5 and 6 times over the currently acceptable Guideline levels. This has massive implications on the current status of the property and for resale of the property. It also reflects poorly on the meth testing and remediation industry. Standards need to be developed, that reduce the reliance on the integrity of the people involved and hold those who fail to account. Tenants had concerns about health of their children and received advice that the property they were renting had a meth history. The property had been repainted prior to moving in. Concerned, at risk to their family, they undertook a Baseline test. The Baseline test indicated levels of meth residues in the sleep out consistent with very high levels of use or low levels of manufacture. Fears for tenant health and wellbeing saw them relocate while detailed testing was done. Follow up testing identified meth residues behind the freshly applied paint, but below currently acceptable Guideline levels. Inconsistency between Baseline sample sites and detailed testing sample sites, lead to an apparent discrepancy between the two sets of test results, creating uncertainty for the owner. Results suggest that the property had a significant, but undeclared meth history and that the air vent system in the bathroom in the sleep out, had not been cleaned properly or replaced. Baseline meth test as part of a pre-purchase meth test identified very low levels of meth present, consistent with low levels of use. The presence of meth created uncertainty among prospective buyers. In order to provide certainty to buyers, the owners were forced to commission follow up meth testing. The cost of testing was equivalent to several years MethManagement. Low levels of meth, combined with inconsistent site selection, meant detailed testing failed to identify meth present. The detailed testing confirmed the Baseline indication of low levels of use related meth activity, but the apparent inconsistency created confusion for the owner. Property bought at auction. Enquiry through the sales process regarding previous occupants, failed to disclose an eviction. The nature of the eviction meant it was considered appropriate that a meth test was done. An infield/self-test presumptive kit was used as the agent believed that all meth tests were the same. This gave a negative result. This result was not disclosed to prospective purchasers. Why would you?. The day before settlement, the new owner in waiting was made aware of a drug history at the property. Our Baseline sample processed through the laboratory identified 8.1 µg of meth present. This is an average of 2 times over currently acceptable Guideline levels. Detailed testing identified meth residues above the Ministry of Health Guidelines through the property. In areas declared negative by the person using the infield testing kit, they were 5 to 8 times above the Ministry of Health Guidelines. Property was used by a tenant for manufacture of meth over an extended period of time. Police raid alerted the owner and meth test identified that it was beyond economic repair. Building removed from the site along with top 500mm of dirt due to high levels of contamination. 6 year old brick and tile property rented out and professionally managed. Police raid alerted the recently appointed property manager to the issue. Baseline meth test identified massive levels of contamination. Detailed testing confirmed the property was beyond economic repair. Building demolished and top 500mm of dirt removed from the site due to high levels of contamination.